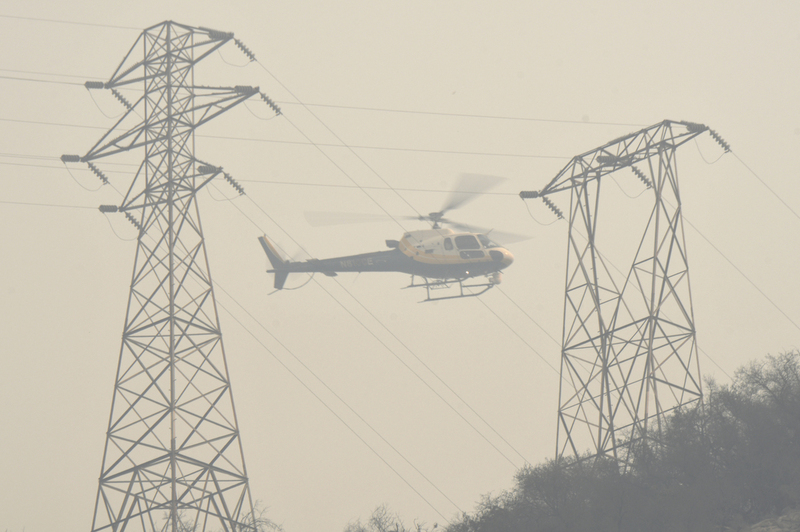 A firefighting helicopter makes water drops near Southern California Edison's transmission lines as the Thomas Fire burned near Highway 150. 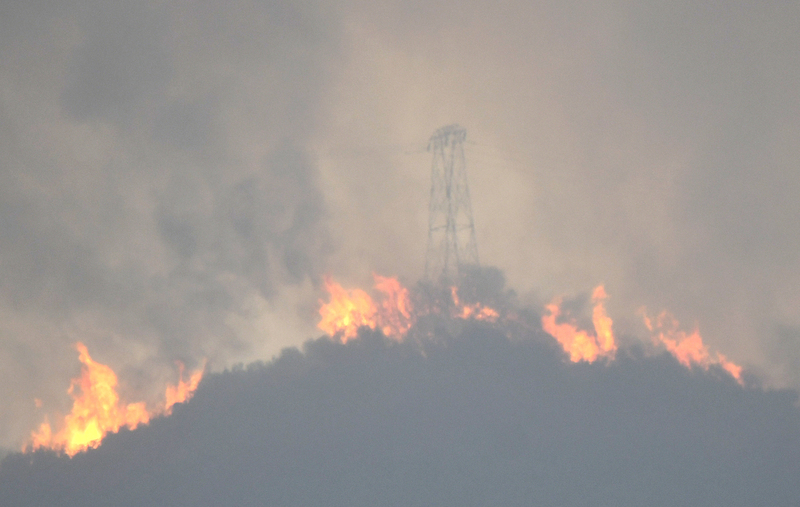 Before clawing its way up the coast from Ventura, the Thomas Fire made its presence felt in Santa Barbara by chewing and spitting on the few power lines that connect the South Coast to the rest of the Southern California Edison energy grid. 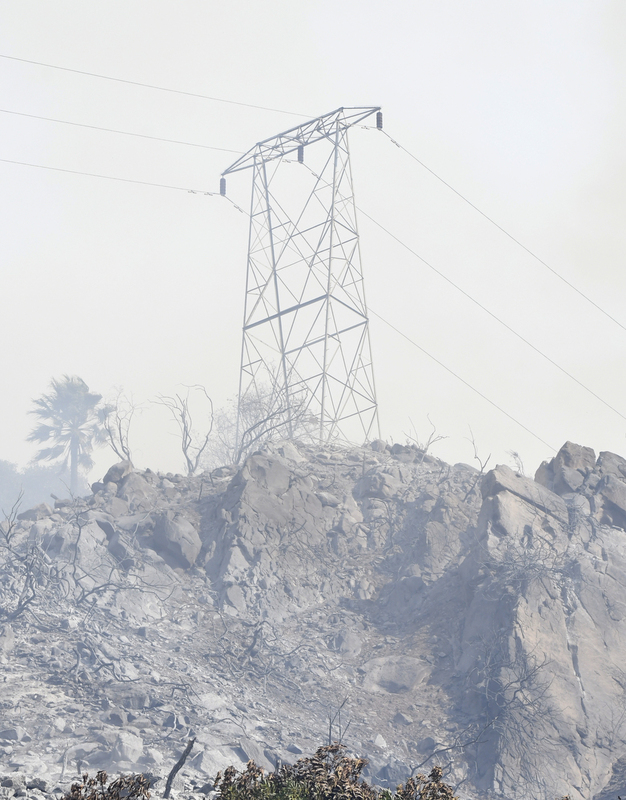 Intermittent outages Saturday night and Sunday morning swept across all of Edison’s 85,000 or so Santa Barbara–area customers as the fire circled the utility’s Casitas substation ​— ​the last, single node between the sprawling Ventura/Los Angeles system and Santa Barbara’s island of electricity. North County is serviced by PG&E, which doesn’t reach farther south than Santa Ynez. Edison issued a statement Saturday, explaining the state had declared a “transmission emergency” due to the “loss of critical infrastructure” and that outages were a result of energy reroutes and voltage changes. Spokesperson Mary Ann Milbourn couldn’t say if the two 220-kilovolt transmission lines that carry the bulk of Santa Barbara’s electricity up from Ventura, west through the backcountry, and down into Goleta substation, which then disperses it throughout the South Coast, had been compromised. Robert Lewin, Santa Barbara’s chief of emergency operations, said Tuesday that he’d been informed the Thomas Fire had cut Edison’s 66-kilovolt lines and the utility was relying solely on its 220-kilovolt tethers. Edison was working hard to get helicopters in the air to inspect lines, he said. As of Wednesday morning, Edison had replaced 310 of 564 power poles damaged in Ventura; 18 “Critical Care” customers in Santa Barbara ​— ​those with electricity-dependent medical needs ​— ​received generators. Edison spokespeople in general are hesitant to disclose information about the company’s infrastructure. Doing so could expose its Southern California market to outside competition and risk. They’re especially cautious during natural disasters, when hostile foreign governments are watching state and federal responses and assessing potential weak points of attack. 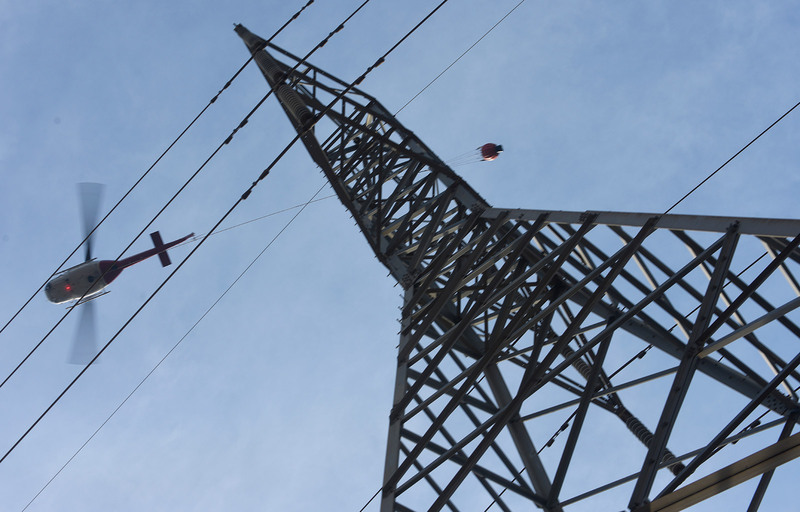 Edison is in the midst of a “reliability” construction effort to shore up arterial and backup transmission lines between Santa Barbara and Ventura. In its petition to the California Public Utilities Commission, the company noted the route is located in terrain where landslides can be caused “by heavy rainfall (e.g. 1997-98 El Niño condition) and frequent fires.” The project’s estimated completion date is late 2018. In the meantime, if power goes out, a battery-powered radio may be the best way to get up-to-date emergency information. Edison also asks that Santa Barbara customers conserve energy during the fire. The following stations are part of the Radio Ready network, accessible with a battery-powered radio in the event of a power outage.